Use of digestive aids, probiotics, energy, non-vitamin substances increasing. 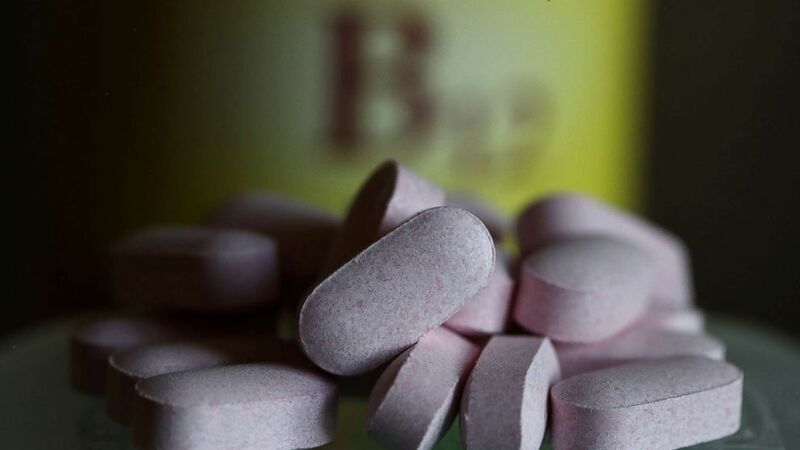 The use of so-called "alternative" supplements in kids and teens doubled between 2003 and 2014, according the a new study. About a third of all children and teens take supplements, mostly vitamins, which was consistent between 2003 and 2014. There is still no general consensus on heart disease prevention or treatment. ABC News' Dr. Richard Besser reports on the latest research that may affect your health. Could Your Favorite Supplements Be Putting You in Danger? Consumer Reports says numerous supplements have been found to cause more harm than good. Here's what's changed: The use of alternative medicines -- including digestive aids, probiotics, joint, energy and other non-vitamin substances -- in teens nearly doubled, to 6.7 percent from 3.7 percent over that same time period. The study was published today in JAMA Pediatrics. The data used are from the National Health and Nutrition Examination Surveys, which are used to review how many children and teens used supplements from 2003 to 2014. (Justin Sullivan/Getty Images) Vitamin B12 pills are displayed on Oct. 26, 2017 in San Anselmo, Calif.
A total of 4,400 people were surveyed in the U.S. For children too young to answer, caregivers answered. Participants were asked whether they had "used or taken any vitamins, minerals, herbals or other dietary supplements in the past 30 days." What are the most common supplements kids take? One quarter of children and teens take multivitamins, followed by supplements for immunity -- 4 percent took vitamin C, 2.3 percent took omega-3 fatty acids and 1.1 percent took sleep aids including melatonin. 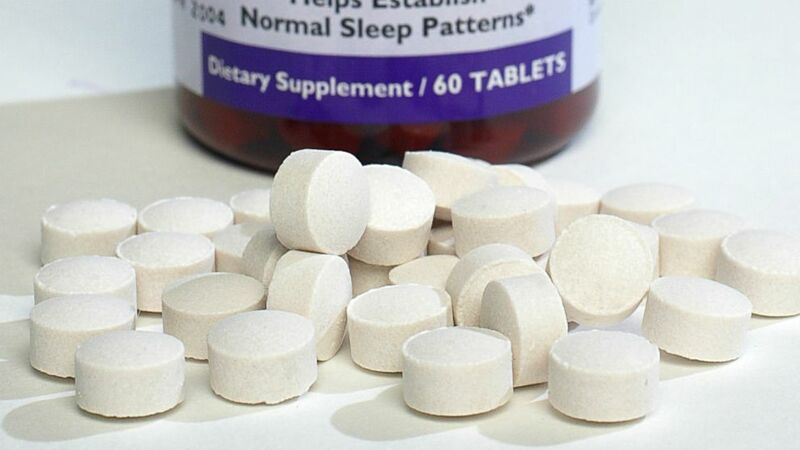 (L.A. Times via Getty Images) Melatonin is pictured in a photo illustration, Jan. 16, 2003. Teens account for the majority of alternative supplement use: 5.3 percent of girls aged 13-19, and 4.5 percent of boys that gae were taking these non-vitamin products. But the genders varied in what they took: Girls were more likely to be taking iron, calcium and vitamin B products, while boys were more likely to use omega-3 and bodybuilding supplements. That's what most concerns doctors. Parents should be aware that these alternative products can have serious side effects, and are not regulated by the FDA for safety, quality or efficacy. The American Academy of Pediatrics recommends that for most children, a healthy diet is the best source of vitamins and minerals. Children and teens who may need vitamins and minerals include those who are underweight, have restricted diets or have illnesses that put them at risk for deficiency. Some limitations of this study include that it is based on a survey, which is subject to recall bias given respondents were asked about the previous 30 days. More research is needed to describe safety and adverse effects of alternative dietary supplements. 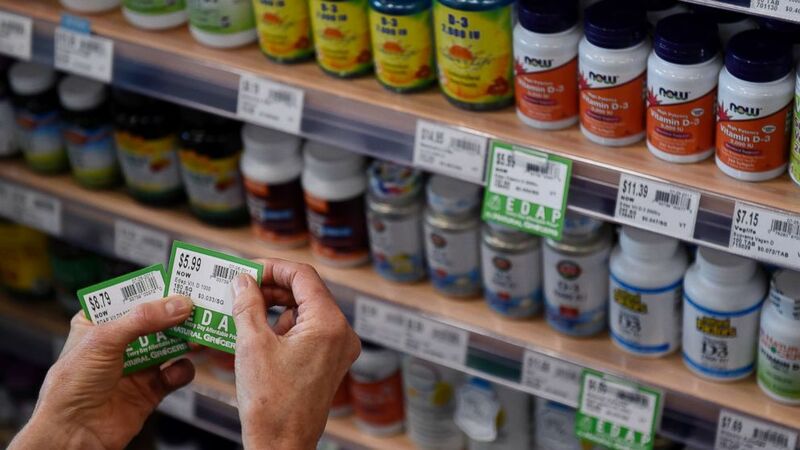 (Denver Post via Getty Images) A store worker affixes price tags to vitamins at a grocery storey on July 26, 2017, in Denver.